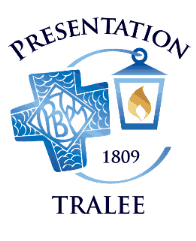 The Board of Management manages the school on behalf of our trustee CEIST. It is the responsibility of the Board of Management to uphold the characteristic spirit of the school and is accountable to the trustee for so doing. The Principal is responsible for the day-to-day management of the school, including providing guidance and direction to the teachers and other staff of the school. Four members nominated by the trustees of the School. Two parents / legal guardians of children currently attending the school. Two teachers currently on the staff of the school. Following their nomination or election, all eight members of the Board are appointed by the Trustees. The Principal acts as Secretary to the Board. The Board of Management as presently constituted took up office in September 2016 and is scheduled to serve until August 2019.